GRAINZYME® technology is an innovative platform that produces enzymes inside a kernel of corn. It’s a natural, convenient, and profitable way to introduce beneficial enzymes such as phytase, glucanase, and other enzymes into animal diets by simply replacing a small amount of corn with GRAINZYME corn. Want to know more?. Why is GRAINZYME technology so innovative? Because it takes the enzymes that are normally added to feed and grows them right inside the seed kernel. In fact, now enzymes like phytase can go straight from the farm to the feed. We believe it has the potential to create tremendous efficiencies in how animals receive dietary enzymes that help them utilize nutrients so they grow strong and healthy. Imagine increased output of meat, eggs, and milk – all while using fewer resources. Today, thanks to GRAINZYME technology, it’s possible. GRAINZYME corn with phytase is just the first of many products in our Agrivida pipeline. Stay tuned for even more. With its novel approach to producing feed enzymes in a kernel of corn, GRAINZYME® technology is an excellent complement to agricultural sustainability. How so? Feed enzymes optimize nutritional performance, enabling livestock to excrete less phosphorus, nitrogen, and undigested carbohydrates into the environment. This leads to a more sustainable environmental footprint for livestock producers and consumers. Want to know more? 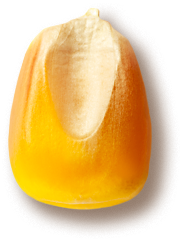 Enzymes produced by GRAINZYME® technology are uniquely created inside the corn kernel––a more natural and less resource-intensive process when compared to other manufacturing methods like fermentation. GRAINZYME enzymes also can improve nutrient utilization in the diets of livestock, leading to improved feed efficiency and less waste, as well as a better environmental footprint. That’s a win-win. GRAINZYME® technology is the first corn-based enzyme platform available to animal nutritionists and feed formulators. Adding enzymes to feed via GRAINZYME technology is simpler and more natural because the enzymes are part of each kernel of corn. Producers are attracted to GRAINZYME technology because of its ability to deliver a customized enzyme payload in the feed, leading to demonstrated benefits for food animals that include improved digestibility and performance. That, in turn, boosts the feed conversion ratio, which can result in greater returns­—naturally. Want to know more? When it comes to the bottom line, livestock producers focus on quality production from their investments. It is critical that livestock efficiently receive the highest nutritional benefits from their feed. With GRAINZYME® technology, enzyme production and delivery has been simplified. GRAINZYME-powered corn goes directly from our farms to the feed mills, with beneficial enzymes such as phytase already built into each kernel. Choosing GRAINZYME-powered feed accelerates the key benefits of performance, health, and sustainability, all critical considerations for producers. By 2020, it’s estimated our planet will have nearly 8 billion people requiring food. GRAINZYME® technology is among the innovations that will make feeding that growing population more efficient and economical. Everyone needs affordable access to meat, eggs, and milk. Livestock producers work diligently to make that a reality every day–shaping a future we can all appreciate. At Agrivida, we’re just beginning to envision the positive impact GRAINZYME®-powered products will have now and in the future. We are inviting strategic partners and investors to become part of our vision. We truly believe GRAINZYME technology will positively impact the livestock industry by increasing profits, by making production more sustainable, and by helping to secure the long-term food supply. After looking at the metrics and the science behind the numbers, we think potential partners and investors will agree. Want to know more? For partners and investors, return on investment is critical. As the earth’s population grows, efficient production of meat, eggs, and milk is going to become increasingly important. That’s why investors who possess the foresight to recognize the industry-changing potential of GRAINZYME® technology are seizing this opportunity to get in on the ground floor of a strategic venture with global reach. The breakthrough enzyme products we’re bringing to market today are just the beginning for Agrivida. Our long-term vision encompasses innovations benefiting the animal health and nutrition industry, as derived from our technology platform. We see great potential for improving the nutritional value of agricultural crops fed to livestock and aquaculture. By focusing our efforts on primary nutritional inputs—like corn—we’re poised to make significant strides that limit additional complexity, cost, and environmental impact. Today, at Agrivida, we’re concentrating on simplifying and optimizing feed enzymes, but that’s only the tip of the iceberg. In the future, our core technology platform will be applied to producing other specialty feed ingredients and products for animal health, thus increasing Agrivida’s value. Agrivida continually searches out new ways to sustainably impact the food animal industry. Whether you are in the same business and want to partner or you represent investors looking to capitalize on the ever-increasing need to feed the world’s population efficiently, we invite you to talk with us.